The United Nations Environment Programme (UNEP) has signed a landmark agreement with 22 countries of the League of Arab States (LAS) to address environmental challenges. 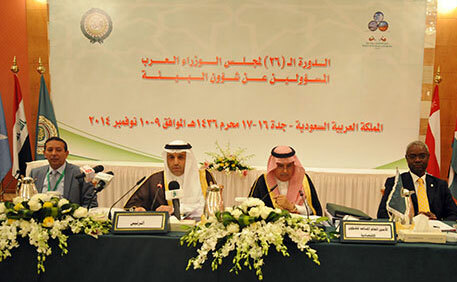 The Memorandum of Understanding (MoU) was signed at the 51st meeting of the Council of Arab Ministers Responsible for the Environment held in Saudi Arabia on November 9, says a UNEP press release. With the new agreement, the two parties agree to reinforce cooperation and coordination in the planning and implementation of global and regional environmental programmes. Their cooperation will span across areas such as green economy, climate change, water resources, biodiversity, sustainable development, consumption and production, post conflict assessment and recovery and environmental governance. The new MoU builds upon an earlier one signed in 1986, which enabled UNEP and LAS to consolidate available resources. According to the press release, the new MoU is developed on the basis of the joint UN-LAS strategic priorities for Economic, Social and Environmental Clusters for 2013-17.